Pam Winne is a Virginia-based fiber artist with over 25 years of experience in knitting, crochet, and weaving. She enjoys working with customers to create one-of-a-kind custom orders. You will find unique hand knit, crocheted, and woven items. and is meticulous and caring in her workmanship. 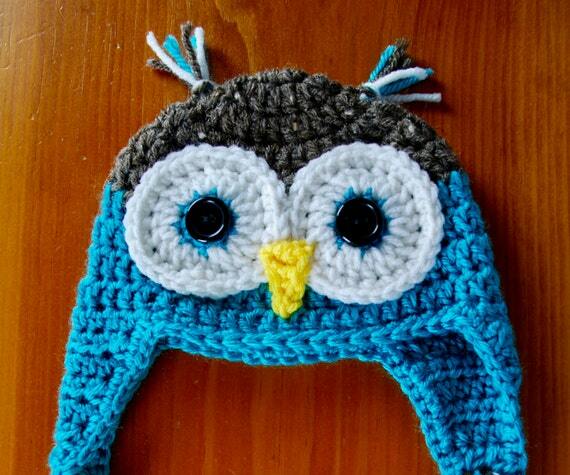 Since I am an avid Doctor Who fan, this crazy owl cap strikes my fancy! You can find it at her Etsy Shop, just click the pic below! See more info by clicking the photo! Check out Pams profile and see more of her gorgeous designs! If anyone knows who this man is or sees a buddha similar to this one in weathered concrete, he stole it off my front porch last night at 3126 Kensington Avenue in the Museum District at 1:45. Three men parked out front in a car and came up on mine and my neighbor’s porches. This happened last night to a friend, and I ask you to please send this video viral through the RVA area. Let’s help her catch these criminals, and return the treasured heirloom to her home! Also, please keep an eye on the open markets, such as flea markets etc… not sure where this may end up. If you have heard of any other similiar thefts last night or recently, please post here. Feel free to post here for any reason that may help find these guys! UPDATE: Please use the sharing tools just to the lower left of this post. You can share to over 100 social networks and websites, please help this go viral. Just click the + sign to get access to over 100 share networks !! Thank you! Here is a Note from Sally! Buddha, a treasured heirloom, was stolen by four men who cased my front porch last Saturday night at 2am. We are raising funds to bring awareness of not only the senseless theft of personal property that brings great sorrow and sadness when something treasured is stolen but also to reward the person who finds and return Buddha. The website listed below in the comments and link is to view the theft and the man who took him. Four men waiting outside my house in a car and brazenly took him and then sat down on my steps to talk after they took him. All money raised will go directly to the person who finds Buddha. He is exactly like the one shown but in a weathered concrete.